The Ebola crisis in West Africa was both a tragedy and a wakeup call, revealing dangerous deficiencies across global systems to prevent, prepare, and respond to infectious disease crises. To address these shortcomings and inform a more effective response in the future, the National Academy of Medicine convened the Commission on a Global Health Risk Framework for the Future (GHRF Commission)—an independent, international group of experts in finance, governance, R&D, health systems, and the social sciences. 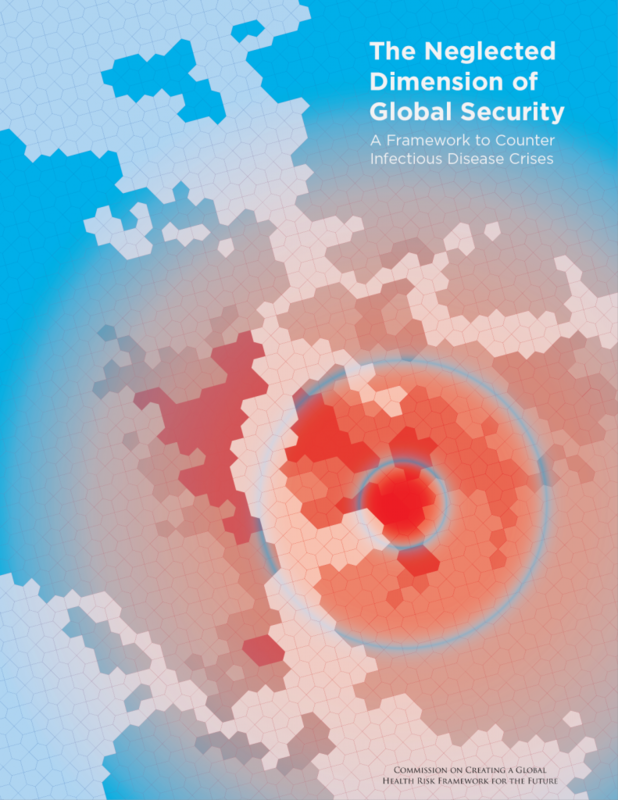 The Commission’s report, which was published on January 13, highlights the essential role of pandemic preparedness in national security and economic stability—a critical but often under-examined dimension of the global conversation post-Ebola. Importantly, the report demonstrates that the impact of infectious disease crises goes far beyond human health alone—and that mitigation, likewise, requires the mobilization and long-term commitment of multiple sectors. The NAM formed an International Oversight Group (IOG), a global body of experts, to ensure the independence and objectivity of the Commission, and to protect integrity and maintain public confidence in the process. Governance for global health. The first workshop explored global, national, and local capabilities to facilitate the collective action of governmental, intergovernmental, corporate, and nonprofit sectors as they contribute to preparedness and response. Financing response to pandemic threats. The second workshop examined public- and private-sector roles in financing preparedness and response to epidemics. Topics included financing mechanisms for public health surveillance, workforce mobilization, and acquisition of medical commodities that can channel funds swiftly while minimizing transaction times and other expenses. Resilient health systems. The third workshop explored integrated surveillance and health information systems; workforce capacity; health system infrastructure; community, regional, and global partner engagement; and supply chain coordination and management. Research and development of medical products. The final workshop assessed current product development platforms; explore incentives and infrastructure for product development and conditions and needs for effective public-private partnerships; and addressed standards and approaches for regulatory harmonization and systems capacity. To develop its report, the commission considered evidence supplied by the workshops and lessons learned from the recent Ebola outbreak and other outbreaks of global impact, such as H1N1 influenza, Middle East Respiratory Syndrome (MERS), and Severe Acute Respiratory Syndrome (SARS). The commission deliberated and evaluated options to strengthen global, regional, national, and local systems to better prepare, detect, and respond to epidemic infectious diseases. Ultimately, the report will furnish conclusions and actionable recommendations to guide policy makers, international funders, civil society organizations, and the private sector. For more information, e-mail GHRFCommission@nas.edu.